The combi 'Milk Run' came to an end on Wednesday of this week after decades of providing an invaluable service for numerous communities in rural Alaska. 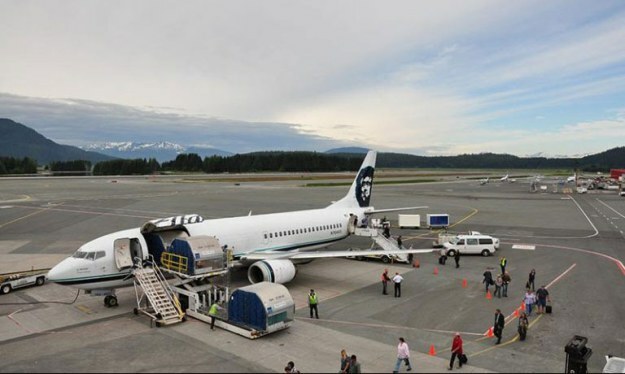 Alaska Airlines have been operating the Boeing 737-400 Combis for a number of years on many routes in the state. 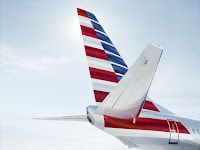 These aircraft feature a passenger cabin in the rear of the aircraft, currently configured with 72 passenger seats. In the front is a cargo cabin that can take a number of full-size freight pallets. Over the years these aircraft have transported a large variety of cargos, from household items to horses, bags of flour to baby reindeer. They have, it is fair to say provided a valuable, if not vital, service for many of the communities in rural and isolated areas. 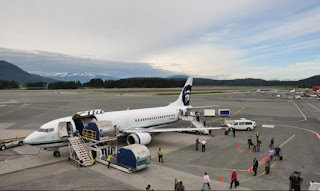 However now as the aircraft get older, Alaska Airlines had five, they are starting to need more and more maintenance and are not as fuel efficient as the airlines newer aircraft. Therefore on Wednesday, the last of the Alaska Airlines Boeing 737-400 Combis' took off on Flight 66 from Anchorage on its final milk run. Yes, it earned that moniker it often carried the white stuff in its cargo areas. The aircraft went on to Cordova, Yakutat and Juneau, then on to Seattle. The 737 Combies have been decommissioned and have flown their last flight for Alaska Airlines, although have been offered for sale and may well go on to fly for another airline, somewhere else in the world. There's quite a number of years left in these old birds, according to maintenance technicians, yet the level of maintenance needed to keep them flying is starting to get too much for Alaska Airlines who are in the process of introducing 737-700 complete freighters to their fleet to take on the strain of carrying cargo around the state. So farewell combi, you've served us well, but now its time to say goodbye.